How to Boost Your Immune System This Winter… 5 Books that will Help! 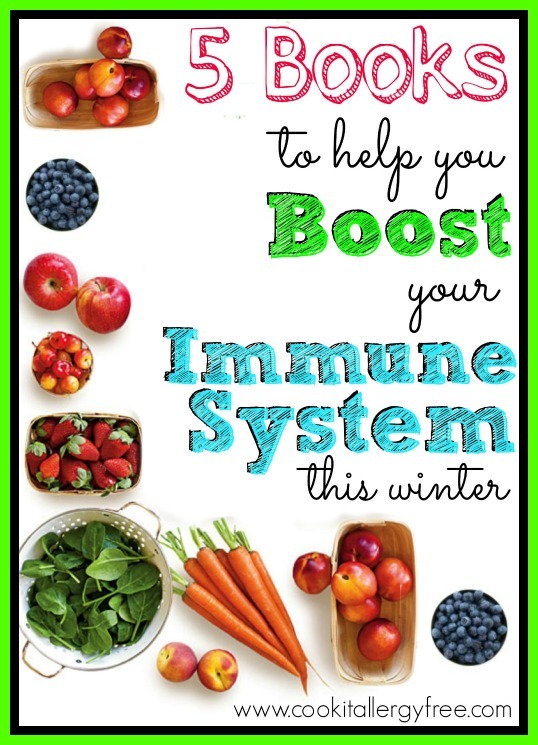 I am obsessed with researching ways to keep my family’s immune systems strong and healthy so that they have every chance of making it through the cold and flu season without being sick all of the time. Over the years, I’ve discovered some incredible immune boosting tricks that have done their job in keeping our family from spending days sick in bed. Some of those very tricks have come from some of my favorite books. Today I thought I would share some of them with you. These books will give you some important tools and preventative tricks to keep up your sleeve so that everyone in your house stays a lot healthier this season. Give your crew a chance against those pesky germs that will be out lurking everywhere soon! I am sharing some of the less technical books here, because I know that what you are really looking for is quick simple information that you can implement right away without your eyes glazing over at the scientific detail of it all. And while some of these books were written a few years ago, it only goes to prove that some of the most age-old remedies and preventative measures are truly the best! 1. 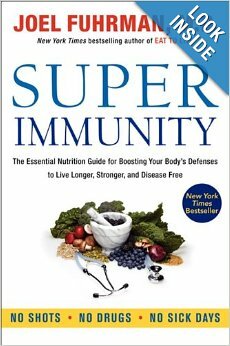 Super Immunity: The Essential Nutrition Guide for Boosting Your Body’s Defenses to Live Longer, Stronger, and Disease Free – by Joel Fuhrman, MD: “We have scientific evidence that the right raw materials and nutritional factors can double or triple the protective power of the immune system. It is possible to hardly ever get sick, and boosting your body’s defenses to the level of super immunity can save your life.”–Dr Joel Furhman, from Super Immunity. This book contains great information on the do’s and don’ts for cold and flu prevention, proven strategies to maintain your ideal weight forever, lists of super foods for super immunity, a 2-week daily menu planner (worth buying the book just for this), and 85+ health-boosting recipes. 2. The Immune System Cure: Optimize Your Immune System in 30 Days-The Natural Way – by Lorna Vanderheaghe and Patrick Bouic, PhD – Gives you simple techniques to supercharge your immune system so that it can resist, and prevent, diseases from forming. It includes supplement information, nutrition importance, recipes, and so much more. 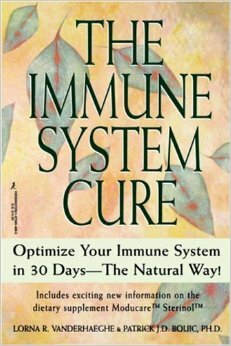 Discover the power of your immune system with this one. This book gives you a good foundation of nutritional tools and supplements to maintain your health and support and aid your immune system. It also talks about the mind-body connection to immunity. 3. 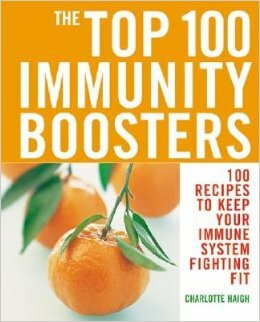 The Top 100 Immunity Boosters: 100 Recipes to Keep Your Immune System Fighting Fit – by Charlotte Haigh – Gives you the top 100 immunity boosting foods, simple recipes for each one, the benefits of each, and information on how to improve certain health ailments using these foods. While this book does not go too in-depth with each food, it is perfect for people looking for simple ideas of the best foods to eat for their health and easy recipes for how to include each one in to your diet. As the author, Charlotte Haigh, says: “To keep the body’s immune organs and cells healthy, it is vital to eat the right foods.” This book keeps it short and sweet to remind us of what we should be eating. 4. 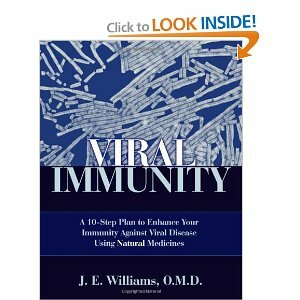 Viral Immunity: A 10-Step to Enhance Your Immunity Against Viral Disease Using Natural Medicines – by J.E. Williams, O.M.D: While this one is a bit more technical and scientific, it is full of great information. In 10 steps, it shows you how to beat a viral infection if you already have one, or how to prevent one if you are exposed… all using natural remedies. It gives natural ways of improving immune function, remedies to treat viral infections, and suggestions on how to “re-frame outdated concepts” that could otherwise prevent you from obtaining effective treatment. Get this one if you have some time to sit down and take notes. It is not an overnight process to change our lifestyle habits, but to improve our health for good, it is worth every effort. 5. 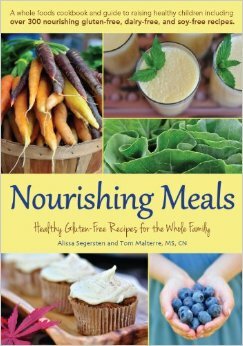 Nourishing Meals: Healthy Gluten-Free Meals For the Whole Family – by Alissa Sergersten and Tom Malterre, MS CN – I love this book. I cook from it all of the time. It literally takes all of the reasons of why you should be doing certain things for your immunity and health and gives you methods of how to incorporate them into your everyday life. It is a perfect tool on how to feed your family and truly nourish them for long term health. In this book, there are over 300 healthy allergy-friendly recipes (with gorgeous photos). It looks into causes of food sensitivities and allergies. It also covers key nutrients necessary for pregnancy and childhood, gives tips on how to get your children to eat more veggies, gives you tools to create more balanced family meals, shows the benefits of soups and stocks and how to make them, and so much more. It covers why we should eat whole foods, what a leaky gut is and how we should fix it, and what the best foods and meals are to overcome certain nutritional deficiencies. All invaluable information. So… if you are looking for some resources and tricks to get your family through this cold and flu season, some of these books just might be your answer. Right now, I have a BIG GIVEAWAY going on with Jeremy Scott Fitness. Do not miss out on your chance to win some huge prizes. 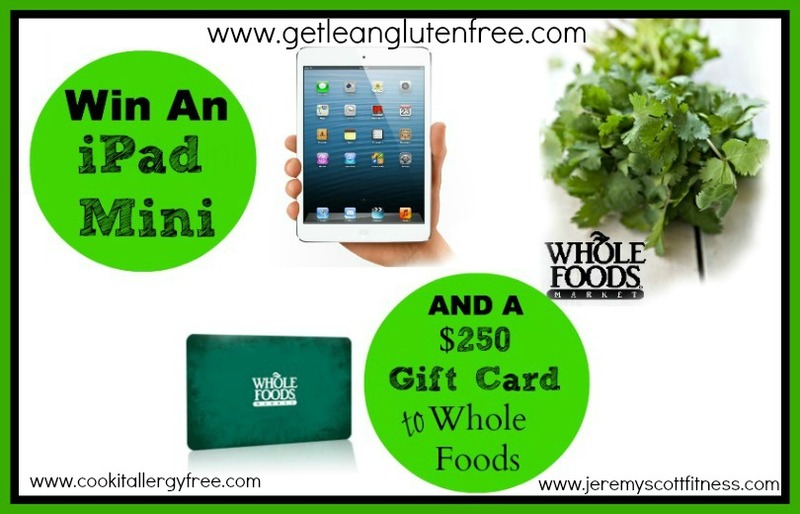 We are giving away an iPad Mini AND a $250 Gift Card to Whole Foods. Just go HERE to enter before the contest is over on Tuesday, October 29th, 2013. Eat Clean. Drink Broth. Live Positive. Be Happy. STAY HEALTHY! I’ve been suffering with immune issues for over 30 years. Thank you for these great books!!! Tried both links for contest, says webpage unavailable. Hi Denise!! You may want to try again because the links seem to be working for me right now. Let me know if you have any other problems though! Amazing line-up Kim. I was only familiar with the first and last, will need to check the others out! Do you think any address “correcting” the immune system – such as in autoimmunity? This is awesome. Thanks Kim!